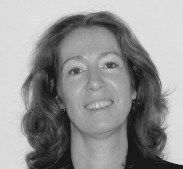 Hadewijch van Delft studied general economics at the VU University. She started working as a researcher at the department of Spatial Economics of this university, but focused more and more on managerial and organizational aspects of research projects. She has been responsible for the coordination of some large conferences and network projects. Her activities have also included translating and editing of scientific papers and managing the publication process of books and special issues.